At the heart of an exceptional and protected site in Haute-Savoie, this complex prestige Mendi Alde consists of 178 accommodations. The residence is at 5 minutes from the village of Clusaz and proposes high quality services. 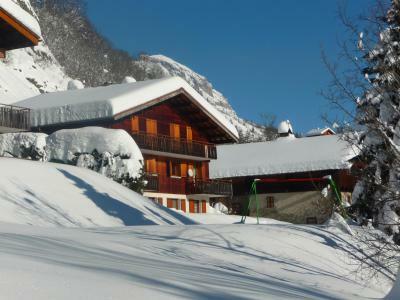 This set of accommodation is connected with the ski lifts of Bossonnet by a footbridge allowing a direct access to slopes. The site benefits from traditional architecture of chalets, with balconies and terraces. The south exposure allows a maximal period of sunshine, and a magnificent view over the Massif of Aravis. Immediate closeness of the conveniences. 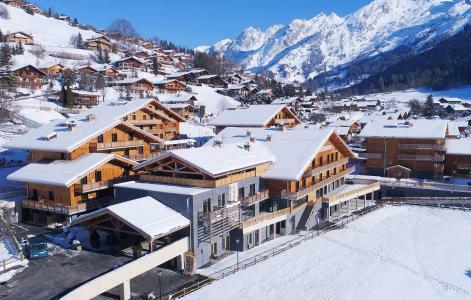 The residence Le Village de Lessy**** is situated 300m from the pistes and the restaurants, in the heart of Grand Bornand Chinaillon, close to the Floria ski lift and a few steps away from the shops (minimarket is situated at the foot of the residence). It comprises of 128 apartments spread over 9 chalets offering a reception, a swimming pool and a spa and beauty centre. Additionally the creche for toddlers in Le Grand Bornand, Alps, France is situated opposite the residence. 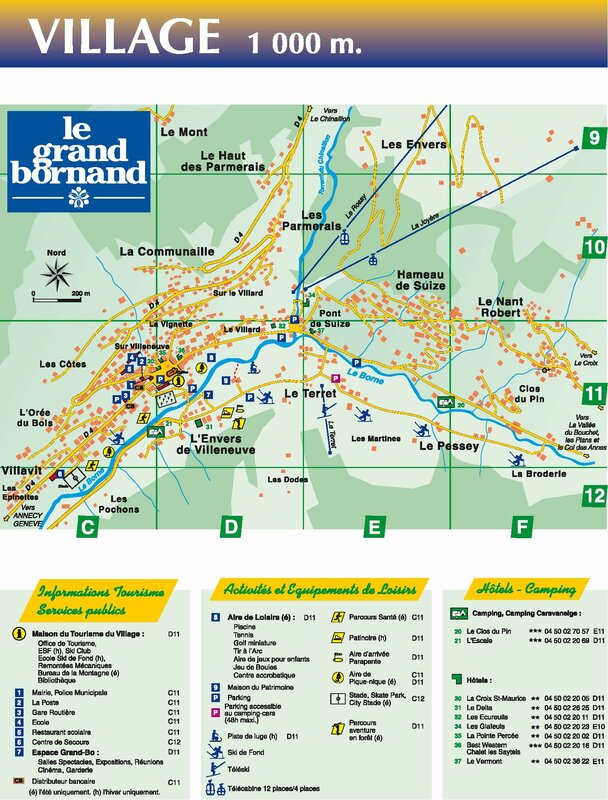 Residence La Forclaz, with a lift, is located right in the center of Le Grand-Bornand Village, 50 meters from the Tourist Information Center. Ski slopes are 650 meters away. There is a skibus stop nearby, 50 meters away. 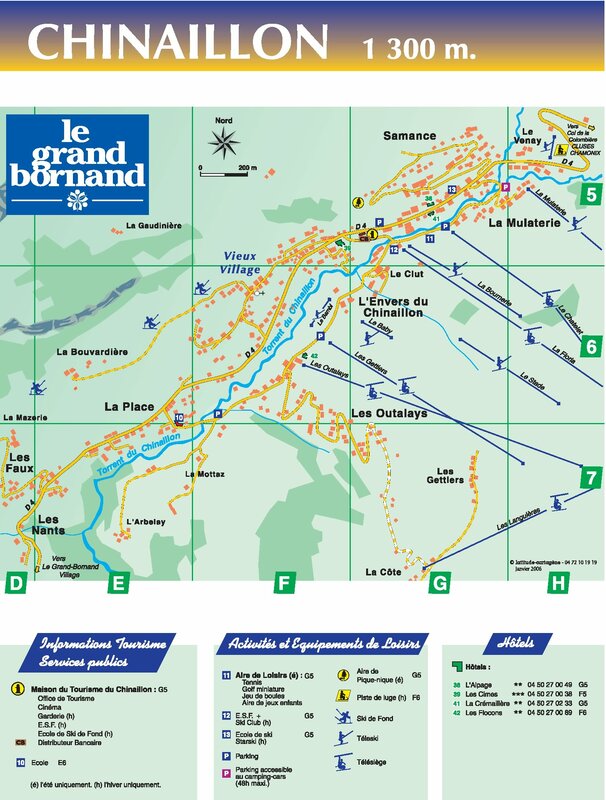 Le Grand Bornand Chinaillon is well known for its amazing ski area in the heart of Les Aravis. 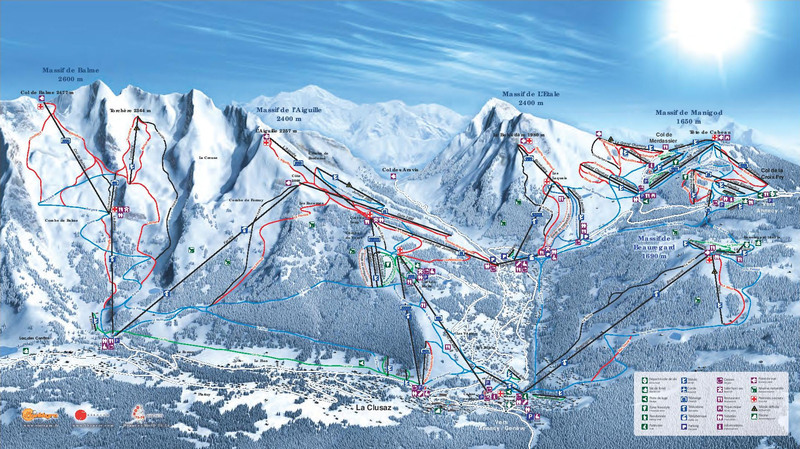 The ski resort located between Le Mont-Blanc and Lake Annecy is accessible rapidly in an hour only. 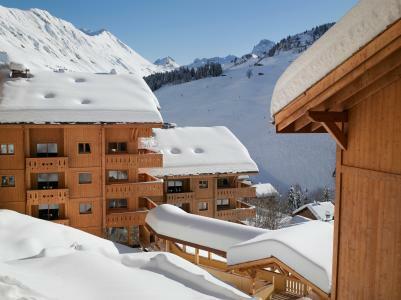 With a unique location next to the slopes and in front of Floria skilift, "Le Roc des Tours"**** favours intimate atmosphere with its 39 apartments with comfort and authenticity that can welcome from 2 to 8 people. For an idyllic stay mixing ski and relaxation, we suggest you the heated indoor swimming pool, the wellness centre and fitness room... Guarantee of unforgettable stay with your family ! 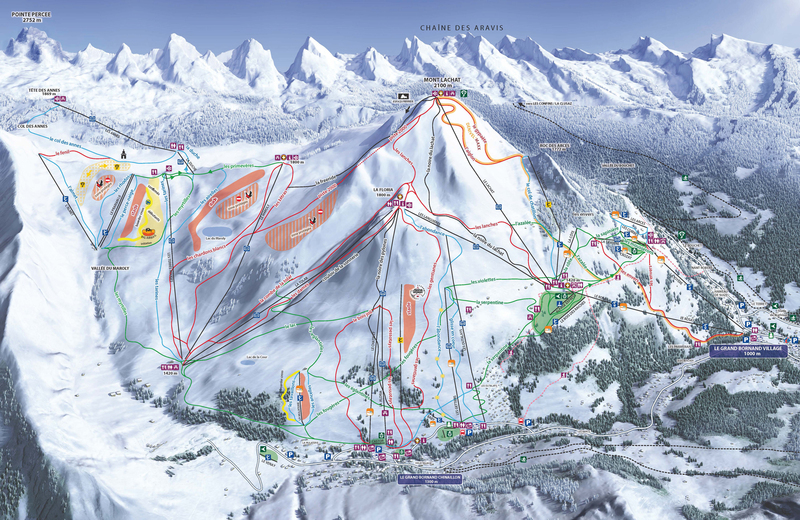 The residence Le Château (with lift) is situated in the heart of the centre of the Grand-Bornand village, Alps and less that 100m from the main shops. 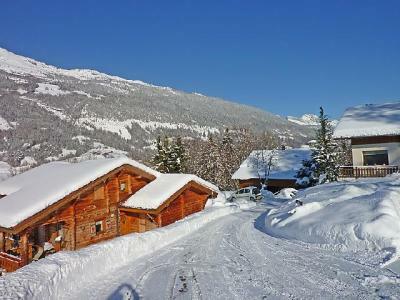 The ski lifts are 500m away, the cross country skiing pistes and the leisure area 200m away. 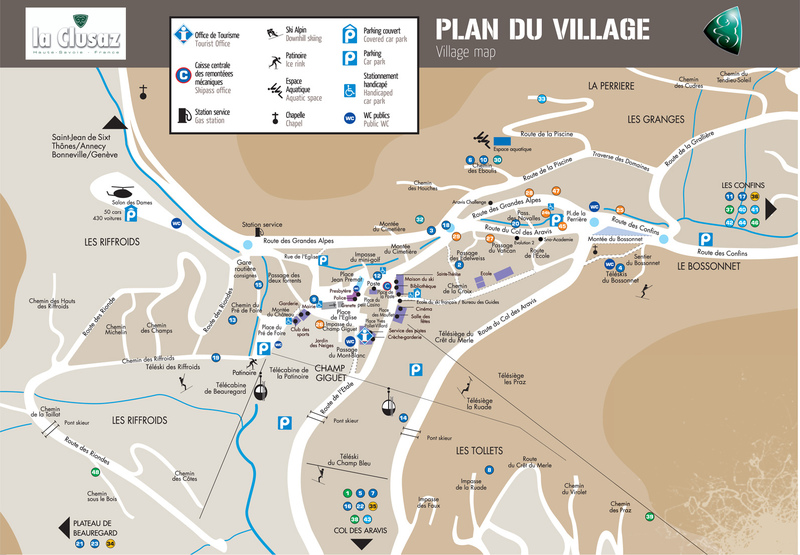 In winter the shuttle stop, located 100m from the residence, allows easy access within the resort. 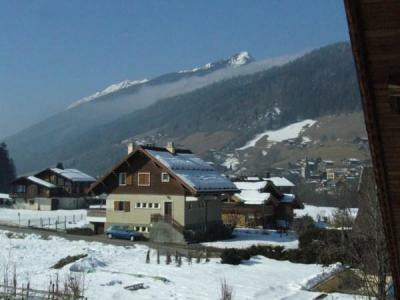 Residence Le Vieux Noyer, no lift, is located in Pont de Suize/Le Terret area , 800 meters from Le Grand-Bornand Village town center. Ski slopes and skilifts are 200 meters away. Closest skibus stop is 50 meters from your residence. 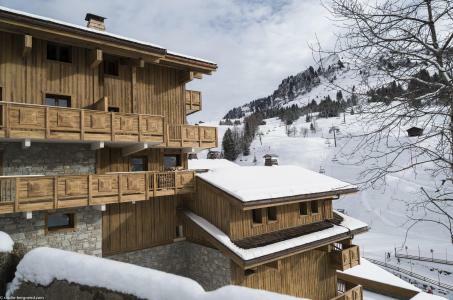 Residence Le Crêt des Roches, is located at the entrance of the resort of Le Grand-Bornand Chinaillon, in La Place area, 850 meters from the ski slopes. You'll have to walk up a few steps to reach the residence.